Does Doubling season work with Leech Bonder + Paradise Mantle combo? Equipped creature has ": Add one mana of any color to your mana pool." I don't know if you're still busy with the deck by now, but have you thought about Paradise Mantle ? The goal of the deck is to mill (make it so there's no cards left in their deck/library) your opponent to secure victory. In order to do this, we rely on a combination of 3 different cards - a mill engine, a tap source, and and untap source. Other mill decks that I've viewed don't have they combinations, but rather rely on powerful single cards to mill a chunk at a time. The issue I find with these decks is that you can mill 20, 30, 40 cards in big chunks at a time, but if you can't mill that last card before getting killed off, then it was all for naught. These combinations provide for a reusable loop that means once you have the combo, you win the game. 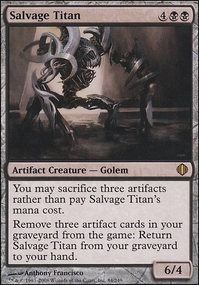 It also means this deck is much more competitive in 3+ player games since you don't have to rely on a Traumatize that can only target 1 of your 2+ opponents. Thanks for the comment Split-second43! Paradise Mantle and Cryptolith Rite do almost the same thing for this deck. 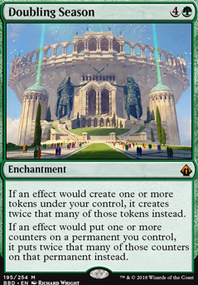 I've gone for 4x Rite because it enables the 1/1 haste tokens generated by Akroan Crusader . I really like Paradise Mantle , I'll definitely add that. Cloudchaser Eagle actually used to be in the deck, as did Augury Owl ! I'll definitely have to revisit them for some more utility in here. I did consider Aven Fateshaper too, but he's just too expensive to be reliable - his activated ability cost is actually 4U not 1U. The big thing I'm noticing in playtesting is that Kangee works really well with all this proliferate. Even getting him out with only one feather counter has been perfectly viable, as it never stays just one. But with him as the sole linchpin, it's not hard for an opponent to just kill him off and leave me entirely open. Even upon his second cast he costs 9 mana to get out with a single feather counter. I need to maybe go a little overboard with my mana solutions here, and almost definitely add at least Whispersilk Cloak and Swiftfoot Boots to offer him some protection. Oh man, I just saw the art for Aven Brigadier . Such a winner! 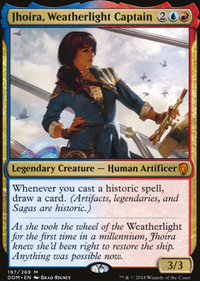 And Commander Eesha is incredible! 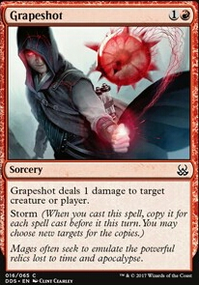 Crookclaw Elder and Gustcloak Savior are sweet value too. Bird Tribal has some fun value. In terms of mana, some other ideas are Dreamscape Artist .... he alllllmost counts as a bird? Technically he does, he's a shapeshifter, but maybe not a flavour win, haha. Probably not good enough. Also, I'd say Paradise Mantle which has a flavour win as it's off the Birds of Paradise idea and, even if only in imagery, gives "wings" (see picture) ;). I was going to recommend Dream Thrush over a signet if you had one, for fixing mana on theme, but you don't have one. I really like Opt , Brainstorm , and Ponder in my blue decks cause they help me make sure I hit my landrops, or later on get me the cards I need (or skip the cards I don't need). In this awesome bird theme your building up, I think Augury Owl is a great way to fill that niche. Brilliant, in my own mind :). 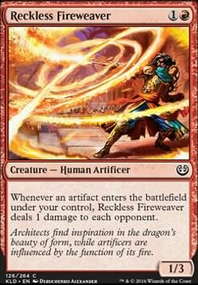 Aven Fateshaper does that too, but he's a little more pricey... except, when he comes out he can keep doing it for ! Awesome. If you ever find that infinite combo, Apex Hawks might be good in here! Cloudchaser Eagle is almost like bird tribals very own Acidic Slime ... note quite, but almost. I see you got Kestrel in there, his cheaper counter part (though I guess classified "equal" as kestrel requires two vs. the extra for eagle. 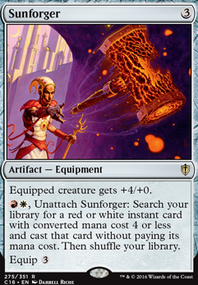 If your playgroup combos off, goes Voltron, or has some crazy creatures that end games, Aven Augur seems like cool utility. If you playgroup is just "good times" though, I do think you should put in Carnivorous Death-Parrot for fun or Cardpecker ;). 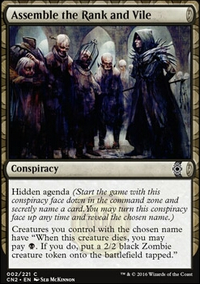 My playgroup allows 1 unhinged type card, unless it's absolutely broken. It's too bad Aven Warhawk is so pricey, or else his effect would be great! This would be fun to play, I can tell. Nice work! So cool to see a tribe with such a tool box.